Denver welcomes more than 30 million visitors every year, and chances are some of those people are here visiting you. Luckily, our bustling city offers plenty of things to do, views to see, parks to explore, local businesses to visit and historic districts to tour. So, no matter what your guests’ interests are, you’ll find something to do—even if they have kids and dogs in tow! We rounded up 20 of our favorite businesses and destinations so your itinerary can be packed with local food, live music, craft beverages, public art, educational experiences, entertainment, ice cream and even afternoon tea! 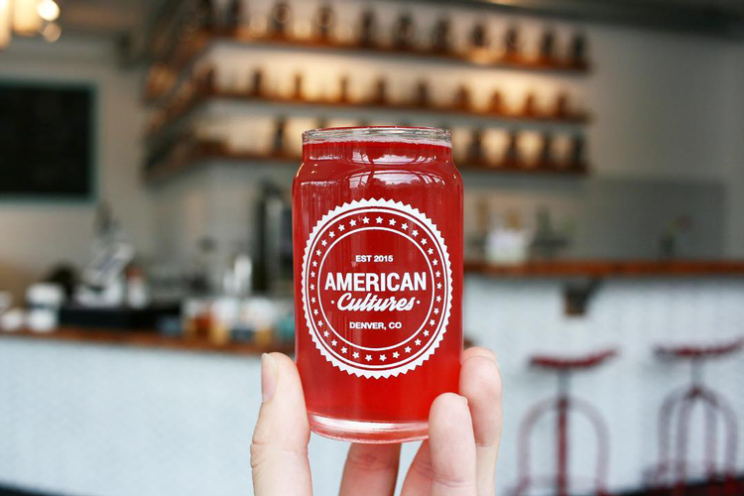 American Cultures began as a mobile eatery serving kombucha and ice cream floats and has grown into a brick and mortar kombucha taproom, a community gathering space, and a celebration of local purveyors. When you visit, you can enjoy kombucha flights, coffee, healthy snacks and the team’s famous Kombucha floats made with local ice cream from Scrumptious and Sweet Action. Balistreri is a family-owned and operated winery located just ten minutes from the heart of Downtown Denver. Over the years, their wines have won several awards and they’re all created by hand without the addition of sulfites or other chemicals. Served alongside lunch and small plates, this the perfect place for wine lovers who want to experience something distinctly Denver. Beer is an iconic industry here in Denver and Blue Moon was one of the city’s first. Their signature Belgian White Belgian-Style Wheat Ale with orange peel garnish was first served in the Sandlot Brewery at Coors Field and has become a recognizable image all over the country. Today, Blue Moon Brewery is owned by Coors and thus represents two significant characters in the Colorado beer scene. Stop by the Blue Moon Brewery in RiNo to experience this legend in one of the most stylish craft breweries in town. From there, you can explore all the other breweries that call RiNo home, including Black Shirt Brewing, Epic Brewing Company, Ratio Beerworks, Crooked Stave and more! 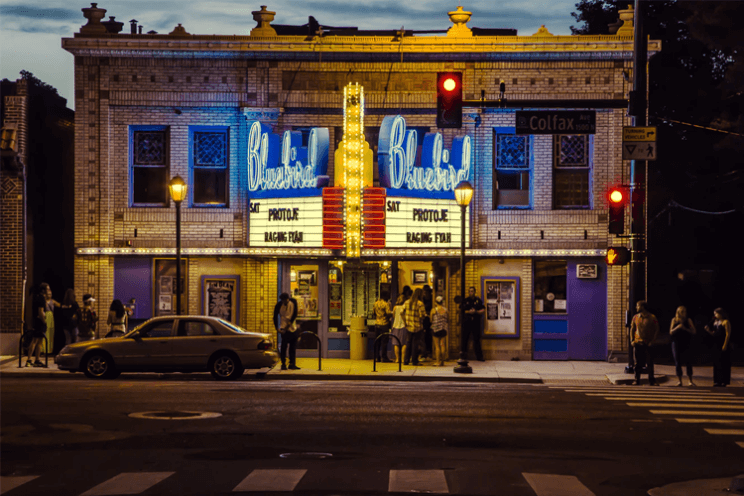 One of Denver’s most intimate concert venues, The Bluebird was originally built in 1913 as a movie house. Today, it hosts indie bands, local artists, international names and more. Their tiered, general admission floor offers the perfect setting for every show and you can get drinks at the bar. It’s also in a great location on Colfax where you can experience other Denver businesses, including Mezcal and Goosetown Tavern right across the street, Lula Rose General Store just a couple blocks east, or Tattered Cover and The 1up Arcade Bar a few minutes west. The Brown Palace opened more than a century ago in 1892. Today, it still exudes luxury whether you’re staying overnight or stopping by for dinner. One of our favorite things to do is to visit for afternoon tea! A long-standing tradition in the historic tearoom, they serve herbal teas, scones and finger sandwiches in one of the city’s most elegant settings. Located just southeast of Denver, Cherry Creek State Park offers some of the best outdoor recreation outside of the Rocky Mountains. Activities include exploring 12 miles of paved trails and 35 total miles of multi-use trails, boating on the lake, camping, fishing, horseback riding, ice skating and, our favorite, taking the pups to the 107-acre, fenced off-leash area. 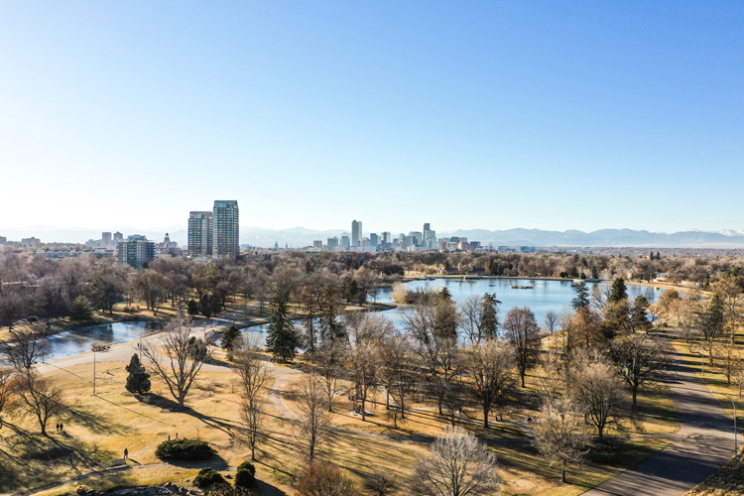 Located in the heart of Denver and home to both the Denver Zoo and the Denver Museum of Nature & Science, City Park is a landmark in the city. There, you can picnic, play at the playground, walk or bike along miles of path, and play on tennis courts, football fields, soccer fields and in horseshoe pits. During the summer, we recommend swinging by the rental kiosk and renting a paddle boat or kayak to take out on the water! 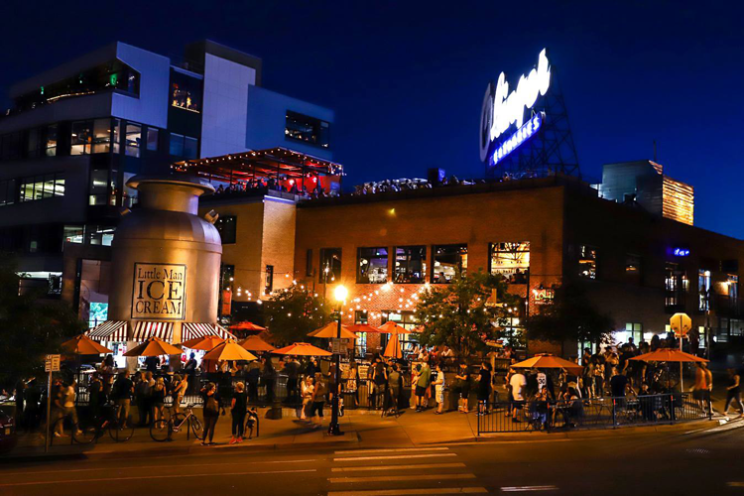 Dairy Block brings several of Denver’s best businesses under one roof and pairs that with some of the city’s best public art and community atmosphere. When you visit, you can grab coffee at Huckleberry Roasters, eat at Denver Milk Market, sip whiskey at Seven Grand, shop at Berkeley Supply Co. and Blue Ruby, and attend weekly events, classes and concerts. 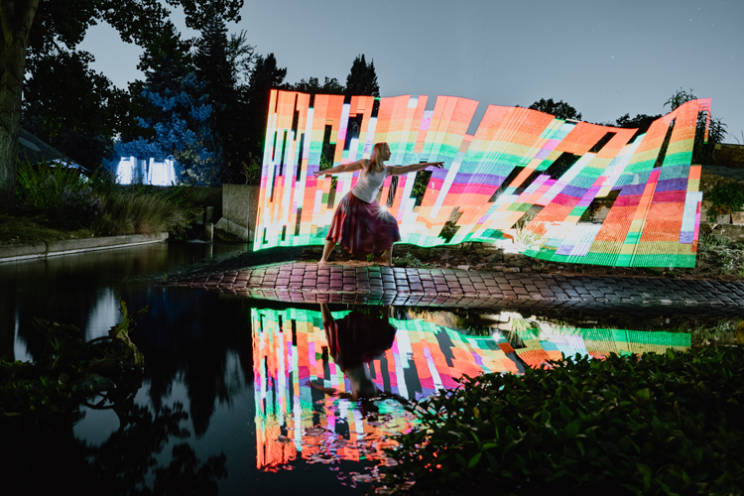 A beautiful destination in both warm and cold months, the Denver Botanic Gardens on York Street curates collections and gardens across 24 acres. These represent both high altitude climate and Western plants alongside distinctive gardens with plants from all over the globe. To preview all of their gardens, click here. The Denver Museum of Nature & Science is an enormous educational institution in Denver. With an IMAX theater, several floors of permanent exhibits and rotating exhibitions, you could spend a couple of days just exploring the facility learning about everything from local geology and ancient dinosaurs to Egyptian mummies and outer space. Denver’s Downtown Aquarium is not your average aquarium. Both an entertainment complex and dining destination, you can wind through oceanic tunnels, watch swimming Bengal tigers, come face to face with sharks and pet stingrays. And if you get hungry while you’re visiting, stop by the aquarium restaurant where you can dine beside a 50,000-gallon centerpiece aquarium, offering floor-to-ceiling views of marine life from every table. Originally built in 1930, the Mayan Theatre is nestled in the Baker District. One of the country’s three remaining theatres designed in the Art Deco Mayan Revival style, the venue was renovated in 1986 and is now an intimate, three screen palace with an upstairs cafe. Their calendar includes critically acclaimed indie movies, Oscar nominees, throwback screenings and more. Considered one of the most charming streets in the city and the most historic, Larimer Square is lined with a number of local boutiques, breweries, wine bars and restaurants, all housed inside historic brick buildings. And while you’re shopping, eating and exploring, you’ll be doing so right where Denver was founded back in 1858! Little Man Ice Cream is an icon in Denver—and not just because they make some of the city’s best flavors. Their first location can be found in LoHi and it’s a 28-foot-tall, 14,000-pound cream can, so you can’t miss it. Open all year long, you can stop by for classic flavors like Cookie Dough and Chunky Chocolate Peanut Butter or creative mixes like French Toast and Caramel Apple Pie. 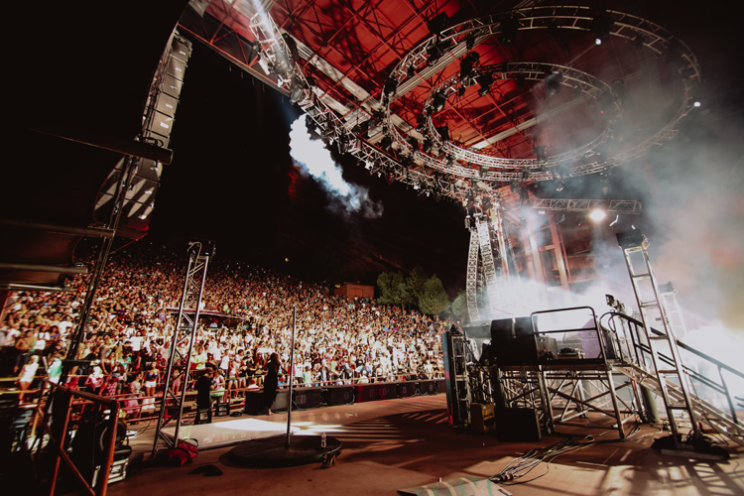 If your visitor has heard anything about Colorado, they’ve probably heard of Red Rocks Amphitheatre. This historic landmark and music venue is located in Morrison, Colorado about 30 minutes from Downtown Denver. During the day, you’ll find plenty of hikers throughout the park and tons of people working out inside the theater. And evening brings some of the best music events in the state, outdoor movie series, festivals and more. The Source is an indoor market representing a collection of some of the city’s best independent retail shops and restaurants. Located in RiNo, the setting offers a brand new hotel with 100 design-forward rooms and 25 artisan vendors that include a bakery, a taqueria, a modern restaurant, a craft brewery, a barber, an art gallery, a kitchen goods store, an apparel shop, a florist and a barbecue joint. One of the best, most historic and charming shopping districts in the city, South Pearl Street is home to outstanding businesses like Stella’s Coffee Haus, Kaos Pizzeria, Second Star to the Right Books, OTOTO and so much more. If your visitors are here during the summer, be sure to stop by the South Pearl Street Farmers Market every Sunday. And keep your eye out for other events throughout the year, like Oktoberfest in the fall, Winterfest, and the First Friday Art Walk from April through October. At Stranahan’s, single malt whiskey is made by hand using only the finest malted barley, yeast and Rocky Mountain water, and they control every step of the process from barley to bottle. In The Lounge, you can sip special releases and craft cocktails then embark on a tour of the distillery. Tours explore the process, the brewhouse, the bottling room and more. 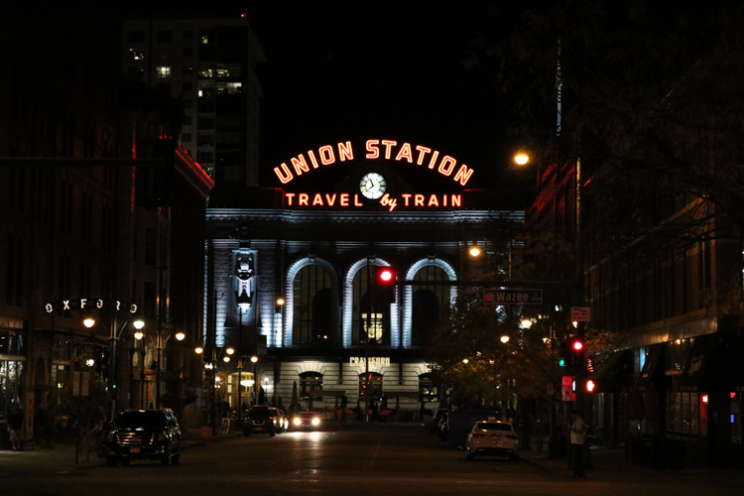 Union Station is a 100-year-old landmark in Denver that is now home to an eclectic mix of local bars, restaurants and shops. An indoor, one-stop-shop, guests can eat at Ultreia, get dessert at Milkbox Ice Creamery, sip a cocktail from Terminal Bar, get coffee at Pigtrain Coffee Co., choose a book at Tattered Cover, pick flowers at BLOOM and even more. Complete with more than fifty iconic aircraft, the most realistic flight simulators in Colorado and a theatre, Wings Over the Rockies is much more than a typical museum. One visit can bring you face-to-face with an F-104 Starfighter, take you into the skies in the MaxFlight simulator, and entertain you with short films and mini-series. Do you have a go-to itinerary? If we missed your favorite place to take guests in the city, tell us about it in the comments below!